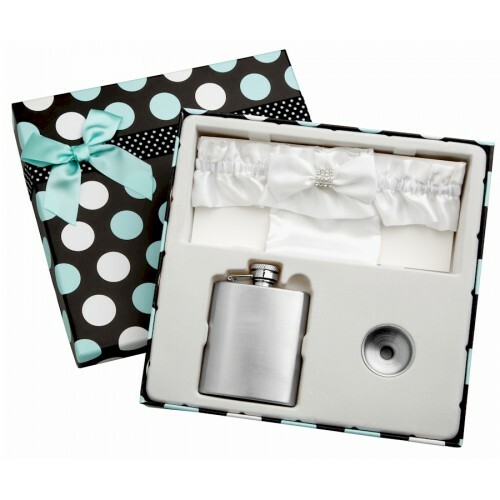 This compact 3oz hip flask is designed to fit in the garter belt pouch that is included in the set. The bright white is the perfect color for most weddings and coordinates with most dresses; we also offer this set in blue and red. The wedding flask and garter belt set makes a great gift for the bride on her wedding day or for bridesmaids at the bachelorette party! The garter belt is white with frilly silk material and is adjustable so this one garter belt fits almost everyone. The flask is 304 stainless steel and the funnel is also stainless steel. The colorful gift box is included which makes presentation a breeze. 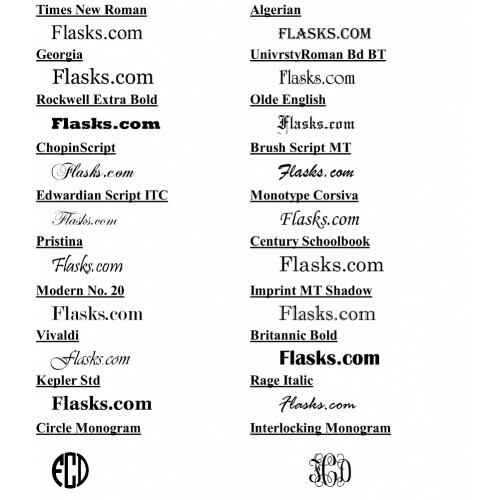 We can personalize the flask in this set with any text you want. Show the bride, and other members of your wedding party, they are worth a high quality gift that packs a small punch. 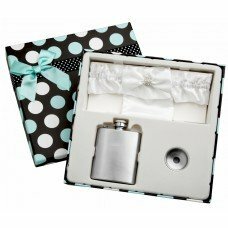 This is a fun and exciting wedding flask that is popular among the ladies.